EP Tender holds two international patents. Two steering wheels guide the trailer when the vehicle moves back. These wheels deploy only when reverse gear is engaged. 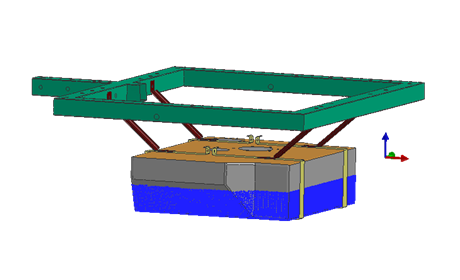 The tank holding system enables, in the event of an accident, to lower the tank under the shock zone. A crash test simulation demonstrates the effectiveness of this protection.